PSMORBI62X25 is a transfer paper Shock Line for light colored fabrics. It is particularly suitable for woven, textured or rough fabrics. 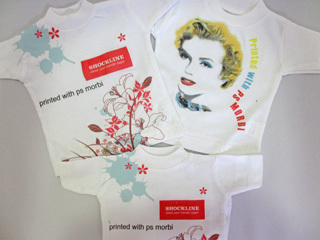 Suitable for cut and weed images, ensures screen printing effect. Soft and elastic. Plotter cut film. PSMORBI62X25 is suitable for cotton and natural or synthetic light colored fabrics such as organza, vualle, linen gauze, silk and lycra. Excellent for t-shirts, polo shirts, fashion clothes, curtains, upholstery and bedding. Machine wash at 40°C or 60°C. Iron inside-out or protect to keep colors bright.